The Windows 10 Technical Preview Windows 10 In Pictures - A Guided Tour Of The Technical Preview Windows 10 In Pictures - A Guided Tour Of The Technical Preview The Windows 10 Technical Preview is now available to everyone. Some bugs aside, it does look promising. We'll guide you through the new Windows one screenshot at a time. Read More is getting more and more stable with every new release. There’s never been a better time to try it. Here at MakeUseOf we’ve shown you a couple of ways to try the Windows 10 Technical Preview Windows 10 In Pictures - A Guided Tour Of The Technical Preview Windows 10 In Pictures - A Guided Tour Of The Technical Preview The Windows 10 Technical Preview is now available to everyone. Some bugs aside, it does look promising. We'll guide you through the new Windows one screenshot at a time. 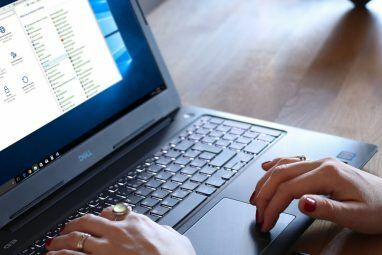 Read More if you run Windows 3 Easy Ways To Install Windows 10 Technical Preview 3 Easy Ways To Install Windows 10 Technical Preview You can try Windows 10 Technical Preview for free and help Microsoft polish its new flagship operating system. Before you install it, make sure you choose the best method for your needs. Read More or Linux How To Try Windows 10 If You're Running Linux How To Try Windows 10 If You're Running Linux Love Linux, but still depend on Windows occasionally? The Windows 10 TP is a stable test system. We show you how you can try Windows for free as a dual boot or on a virtual... Read More . Now it’s time to look at how you can try it out on a Mac. The Technical Preview shouldn’t be your main operating system Why The Windows 10 Technical Preview Should Not Be Your Main OS Why The Windows 10 Technical Preview Should Not Be Your Main OS If you think Windows 10 is a keylogger, you know nothing about the purpose of a Technical Preview. That's OK because we're here to explain. Read More so we’re not going to overwrite OS X. Instead we’re going to use Oracle’s VirtualBox to create a virtual Windows PC How to Use VirtualBox: User's Guide How to Use VirtualBox: User's Guide With VirtualBox you can easily install and test multiple operating systems. We'll show you how to set up Windows 10 and Ubuntu Linux as a virtual machine. Read More . 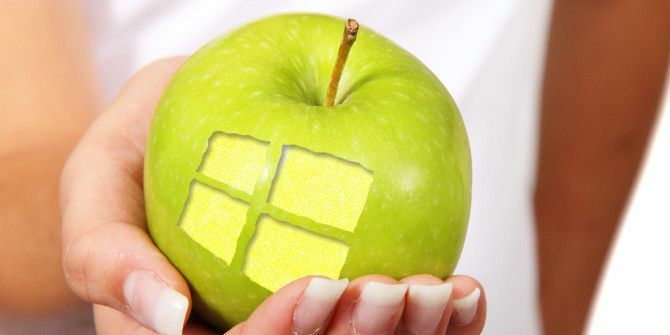 I know what you’re thinking; why would a Mac user want to try out Windows 10? Most of the new features are already in OS X Want Windows 10 Features? Buy A Mac Today! Want Windows 10 Features? Buy A Mac Today! Windows 10 reintroduces real desktop search, includes multiple desktops and adds a start menu with live tile "widgets" – so why should you buy a Mac instead? Read More . Well there are a couple of reasons. Like it or not, Windows is a pretty popular operating system. Everything from your less fashionable friend’s PC to the computer in your local library likely runs some version of Windows. 99% of the time you need to use a computer, you’ll probably have access to your Mac. But that 1% of the time? You might get stuck with a PC. Being familiar with Windows will save you a lot of pain when you’re desperately checking train times in an Internet café. The Windows 10 Technical Preview is also a nice opportunity to try Windows for free. Neither the Technical Preview nor VirtualBox cost a penny. If you have any interest in tech, you should jump at the chance to play with an upcoming OS for an afternoon. Most Windows apps that support Windows 8.1 will run fine in the Windows 10 Technical Preview. 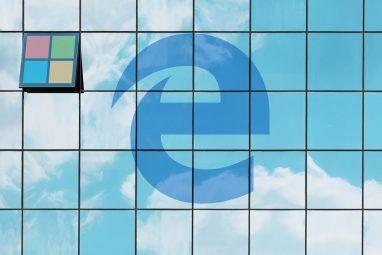 If there’s one Windows app you want to use — but never thought it was worth the cost of a full Windows license — the Technical Preview is the perfect solution. Finally, Microsoft have gone out of their way to listen to users in developing Windows 10. I thought that was pretty awesome Stop Bashing Microsoft: 5 Ways In Which They're Awesome Stop Bashing Microsoft: 5 Ways In Which They're Awesome Microsoft doesn't always get fair treatment. When it comes down to it, they're a pretty awesome company. There's been enough Microsoft bashing, now it's time for some love. Read More . If you hated Windows 8 so much you went and got a Mac, now is the opportunity to see if Microsoft has fixed your pet peeves. The first thing you need is a Mac running OS X. When you install Windows 10 in a virtual machine, your computer will be running two operating systems at once. 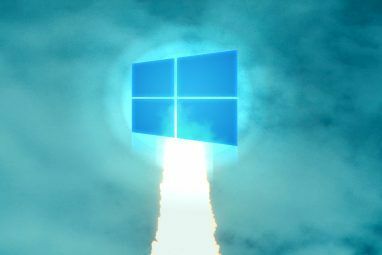 While the Windows 10 Technical Preview is designed to run on low spec machines, running it on top of OS X will put some demand on your system. Any modern Mac should be able to handle it — especially if it has more than 8GB of RAM — but some older models like pre–2011 MacBook Airs might struggle. Next you need a copy of the Windows 10 Technical Preview. After signing up for the Windows Insider programme you can download the latest ISO from Microsoft’s website. Your Mac will support the 64-bit version so download that in whatever language you want. You also need an up-to-date install of VirtualBox. If you don’t already have it on your Mac, download VirtualBox — for free — from Oracle’s website and install it. Open VirtualBox on your Mac and click on the New button. The setup wizard will take you through configuring a new virtual machine. Click Continue to progress through it. Name your virtual machine — I called mine Windows 10 Test — and select Microsoft Windows and Windows 8.1 (64 bit) from the Type and Version dropdown menus respectively. Select the amount of RAM you want to assign to your Windows 10 virtual machine. You can get by with as little as 2 GB but you will get better performance if you allow it to use more. I have 16 GB of RAM in my Mac so I let the virtual machine use 4GB. If I was going to be doing any intensive work in Windows, I’d have assigned 8GB. Create a new virtual hard drive. As you’re just trying Windows 10, a VDI file is perfect. For the same reason, select a fixed size hard drive. The default size is 25 GB. That’s what I left mine at because I don’t plan on installing very much in my virtual machine. If you plan on using it a bit more, you might need a larger virtual hard drive. Click Create and give VirtualBox a moment to create the virtual machine. Choose your new virtual machine from the sidebar and click the Start arrow. Navigate to the Windows 10 ISO you downloaded, select it and click Start to begin the Windows installation process. It’s exactly like installing Windows on a regular computer so just follow the wizard’s steps. When you’re prompted to choose between an Upgrade or Custom install, pick custom. Upgrade requires that there already is a Windows install on the hard drive. The full install will take about 20 minutes. When it’s done, log in with your Microsoft account 5 Security Tips to Consider When Using a Microsoft Account 5 Security Tips to Consider When Using a Microsoft Account You can't use much of the new Windows 8 user interface without a Microsoft account. The account you for logging into into your computer is now an online account. This raises security concerns. Read More and wait for the system to configure. In no time you’ll be running the Windows 10 Technical Preview on your Mac. Have you installed the Windows 10 Technical Preview on your Mac? If so, what’d you make of it? Will it tempt you away form OS X? Explore more about: Install Software, VirtualBox, Windows 10.